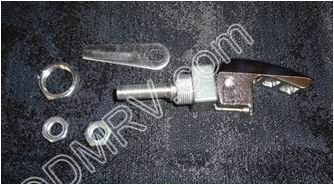 Airstream Window Latch 382367-01 [382367-01] - $39.95 : Out-of-Doors Mart!, More Airstream Parts on-line than anyone! 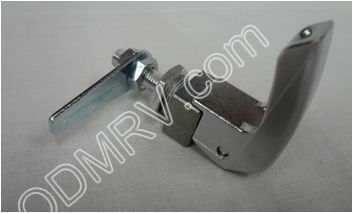 382367-01 old 010020 Airstream Window Latch. 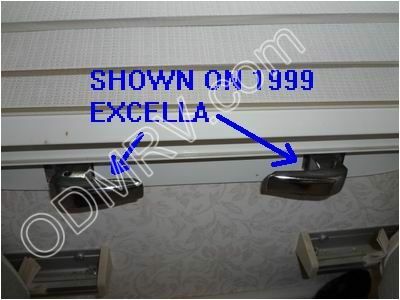 This latch fits most Airstream trailers 1969 to present. 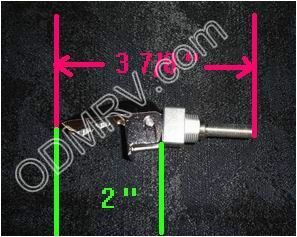 See pictures and measurements below. 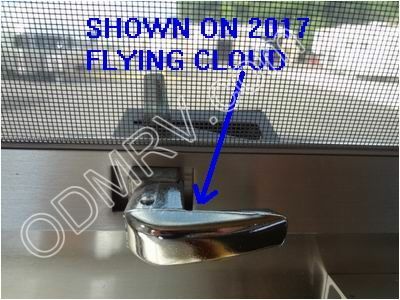 Airstream changed the finish on these June 2017 from shiny chrome to brushed nickel. Old style is no longer available June 2017.